Is there a mountain in the way? The toughest challenges; the biggest obstacles; seemingly insurmountable problems; all can be tackled, defeated and shifted aside by faith-fuelled prayer. 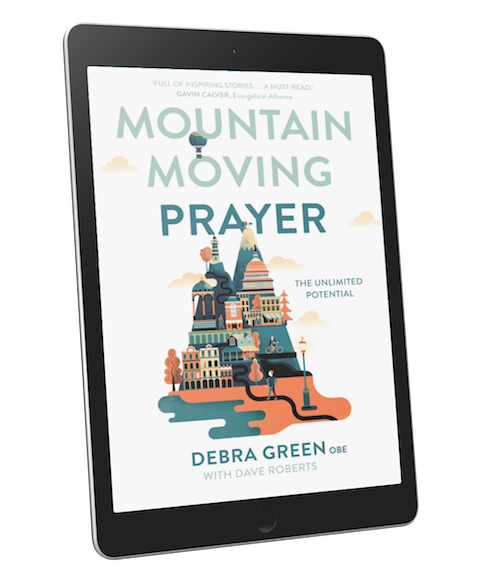 Relational struggles, financial strangleholds, emotional strife; whatever your mountain may be, through prayer, God’s power can move it. The huge challenges that cast their shadows across our communities can also be addressed through prayer. From her own experience Debra Green offers stunning examples and thrilling case studies. 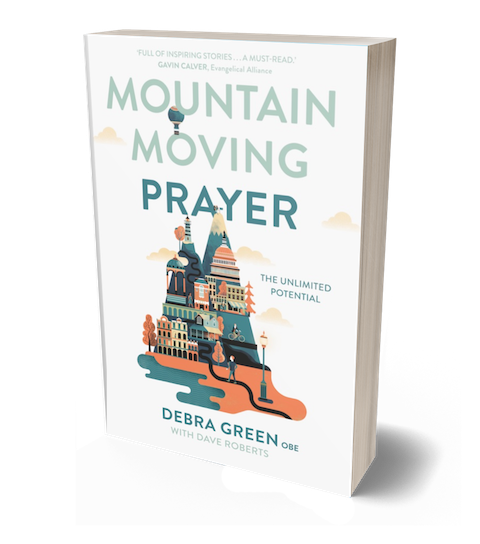 However, mountain-moving prayer is a lifestyle. It’s a persistent process, not a one-off thing. Sometimes the mountain seems bigger than you have the faith for. Sometimes we can’t hear God or don’t get the answers we’re seeking. What happens when God says ‘No’? 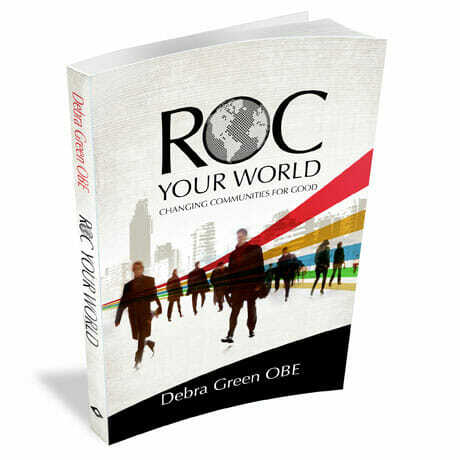 Author and popular speaker Debra Green OBE runs ROC (Redeeming Our Communities), a charity she founded in 2004. ROC aims to reduce crime and bring about community transformation by creating strategic partnerships between statutory agencies, such as police and local authorities, and voluntary groups and churches. ROC reaches thousands of people each week. 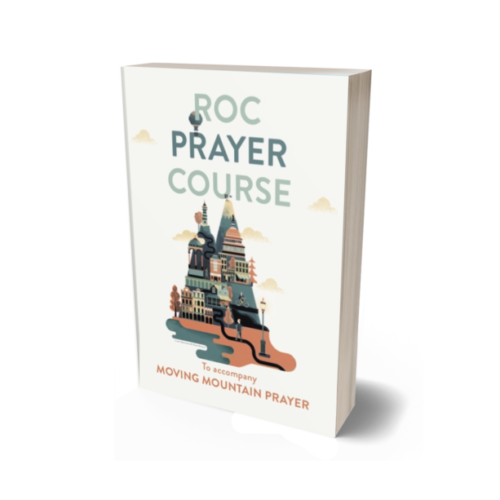 ROC is founded on prayer, which undergirds every project and every decision. Mountain-Moving Prayer arises from this fundamental conviction. Debra Green OBE is the founder and National Director of the charity Redeeming Our Communities (ROC), founded in 2004. She is frequently asked to speak at events and conferences. She also speaks at conferences organised by statutory authorities and public services. 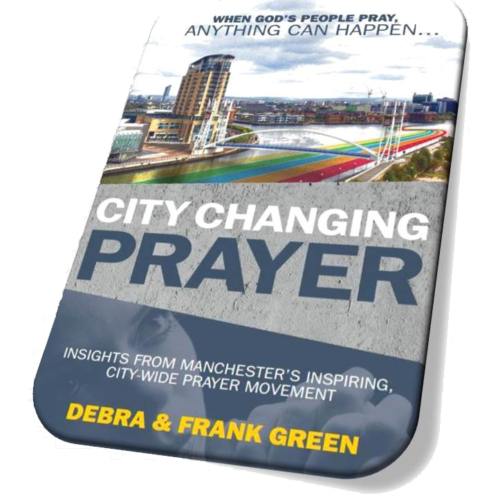 Debra has twenty-five years of experience in bringing organisations together towards the goal of social transformation, starting with her home city of Manchester. Since 2004, this work has expanded and she has acted as a consultant to many other towns and cities with significant results. Such work has attracted interest from public services and local authorities who are impressed by the proven track record and results achieved. She speaks regularly across the UK. Debra has just joined the leadership team of Spring Harvest. Dave Roberts is a former editor of Christianity. He also had a senior publishing role at Kingsway Communications. His personal book sales are in excess of 250,000. These include joint authorship of contemporary best sellers on prayer Red Moon Rising, The Grace Outpouring, and The Way of Blessing.He is an acute observer of the contemporary church. He and his wife Sharon run a fellowship in Eastbourne.